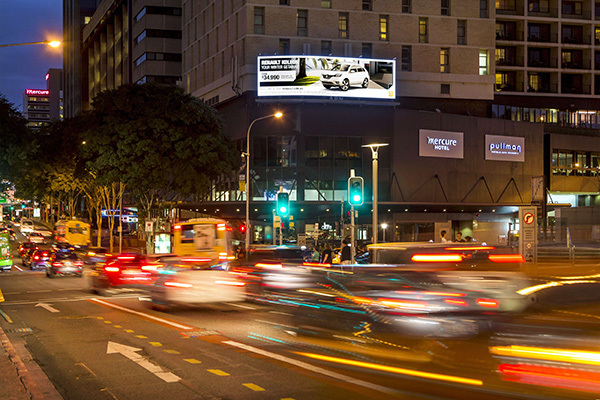 Jensen Bowers’ resident urban planner and outdoor advertising specialist, Stuart Somerville, has helped APN Outdoor gain approval from Brisbane City Council to install digital advertising devices in two of the city’s prime intersections. Located at 1 Roma Street, Brisbane, opposite King George Square, and 71 Brunswick Street in Fortitude Valley, the outdoor media structures are unmissable to Brisbane commuters. Most roadside outdoor media structures are regulated via a range of state and local government planning laws and policies. Our experience and detailed knowledge of current legislation and government agencies positions us as the preeminent consultancy for signage works in Queensland. If you require our help in making an impact on Queensland’s commuters, please call 07 3319 4933 for expert advice and knowledge. Read more about similar projects completed here.